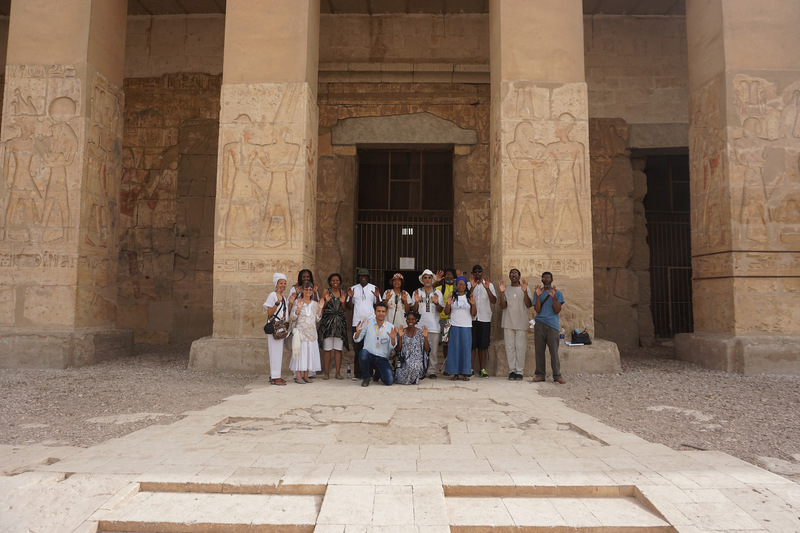 What is so Different and Important About the Mythic Kemet Tours? What is the Initiatic Temple Study Tour Experience Like? 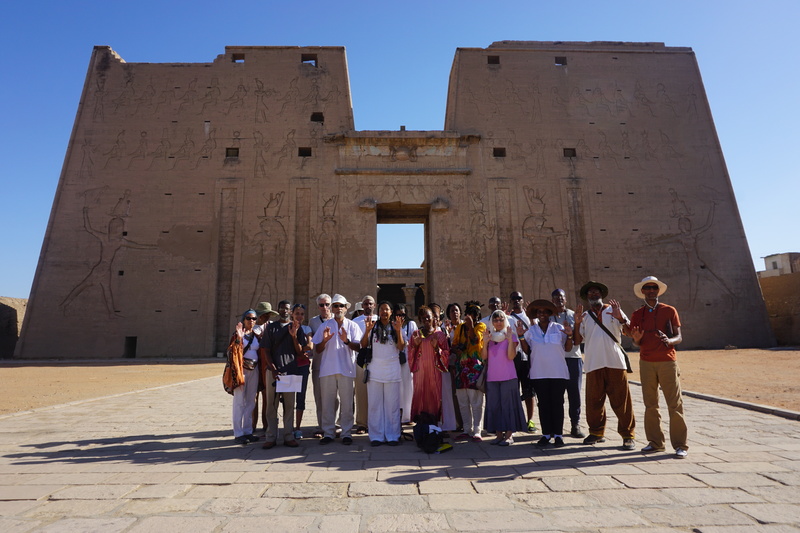 Udja, the Sema Institute of Kemetic Yoga is pleased to announce the forthcoming trip to Kemet scheduled for October 12, 2017-October 23, 2017. This is a special seminar voyage where we will study the teachings of 4 main Ancient Egyptian temples and will spend several days exploring and studying the inscriptions, then practice of divine singing and chant followed by meditations daily, with yoga, spiritual counseling time as well as personal reflective time and more.. 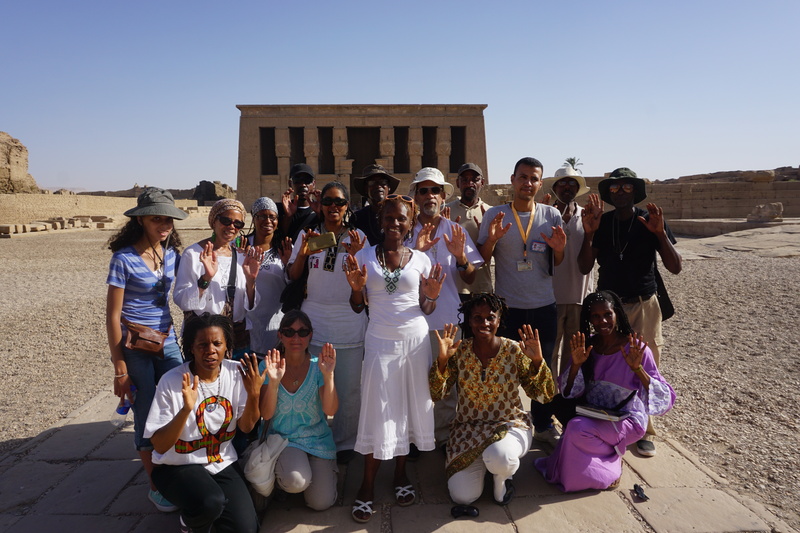 This will be a special opportunity to experience the Seti 1 temple in a way that has not been done by true Kemetic followers since ancient times, with immersion and special insights at specific locations, as has not been espoused before. This is an opportunity to connect with the teaching, not just as a tourist, but as a true follower of the teaching, with full access and no ambiguities. This is the first in a special series of seminars espousing special teachings at their original temple locations and environments. 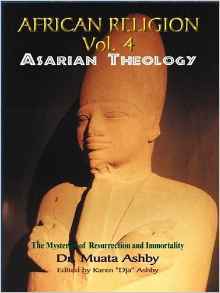 This first focuses on the essential teachings of Asar, Aset and Heru. So attendance at any of the planned seminars is designed to provide all necessary teachings to attain enlightenment. Receiving all the teachings from all seminars that may be possible if the trips remain possible in the future, will expand that teaching and insure spiritual success. 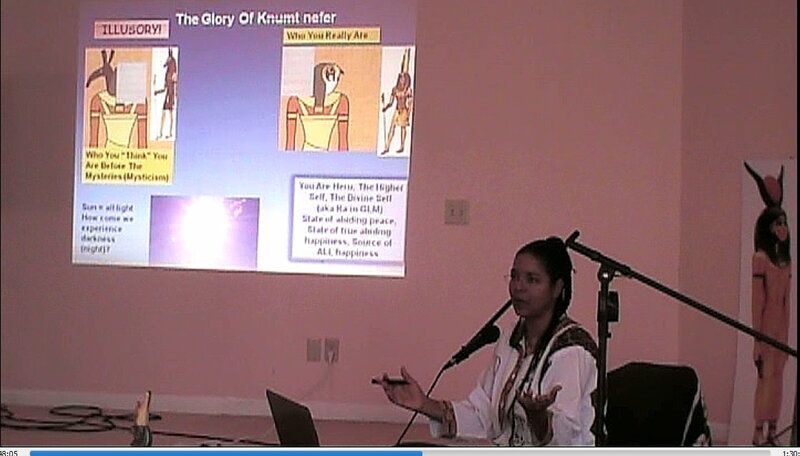 PROGRAM: EGYPTIAN MYSTERIES OF ASAR (OSIRIS) AND ASET (ISIS) AND HERU (HORUS): Sebai Dr. Muata Ashby has been invited to conduct a special Kemetic retreat, an Enlightening & Healing week of Egyptian Yoga (Sema Tawi) and Shetaut Neter (Egyptian Mysteries) in Abydos (Abdu) Egypt at the foot of the Temple of Asar. 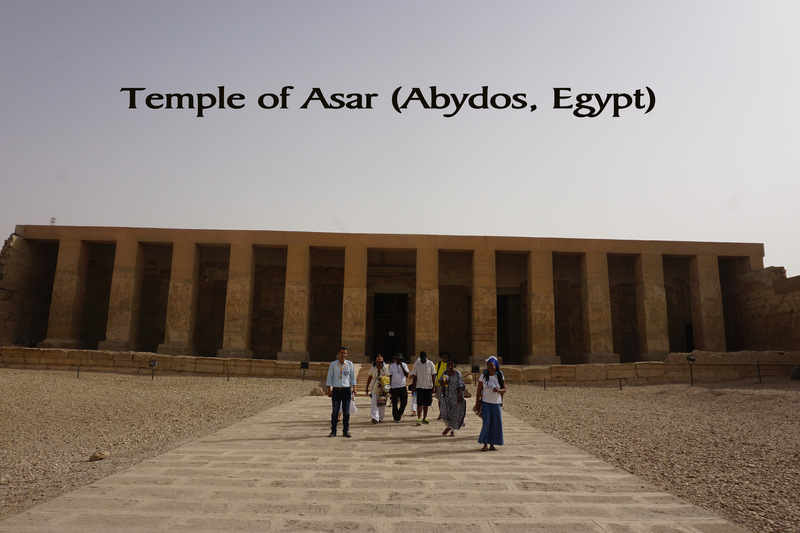 Abydos is the center of the Asarian Resurrection Teaching of Ancient Egypt with its heart, the Temple of Asar which in ancient times was the Mecca of the ancient world. Each morning awaken and purify the spiritual energies through hieroglyphic chants from the scripture and temple. 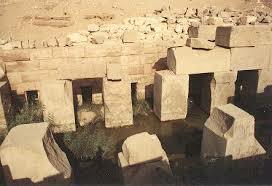 Then visit the temple and imbibe the feeling and wisdom of the Asarian Mysteries. 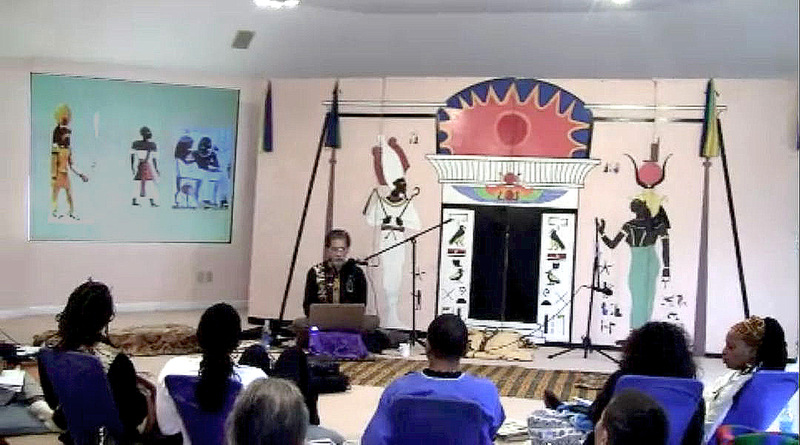 In the evening experience enlightening lectures about the teaching and temple of Osiris and then end the day with soothing meditation on the mysteries of Asar, Aset and Heru. 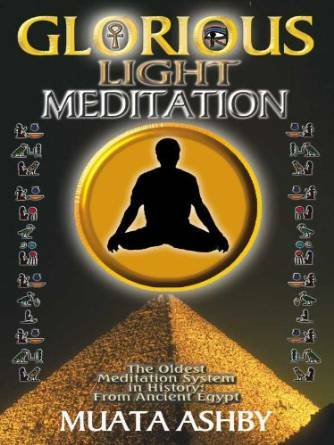 This program is designed to be an enjoyable immersion in the Shetaut Neter Egyptian Mysteries for those who seek enlightenment in this lifetime by learning and connecting to the mystic wisdom of Asar and take away the feeling and power to heal and transform life and move towards the goal of life and self-mastery in supreme peace called HOTEP. 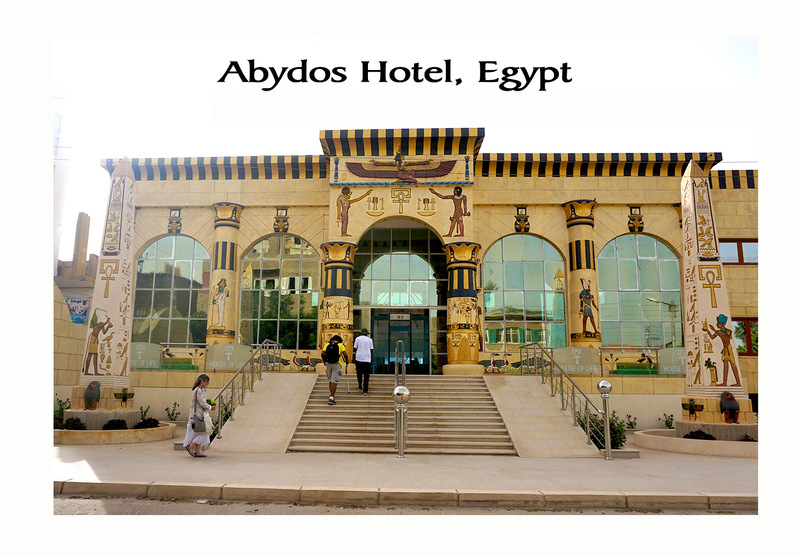 This tour of Egypt is unique because in addition to seeing the main sites as most tourists do we will also have the opportunity to visit and have extended private time in the Ancient city of Abdu, the city of Asar (Osiris). Many travelers know that it is not easy to make cultural and spiritual observances when in Egypt as these may offend the current residents. 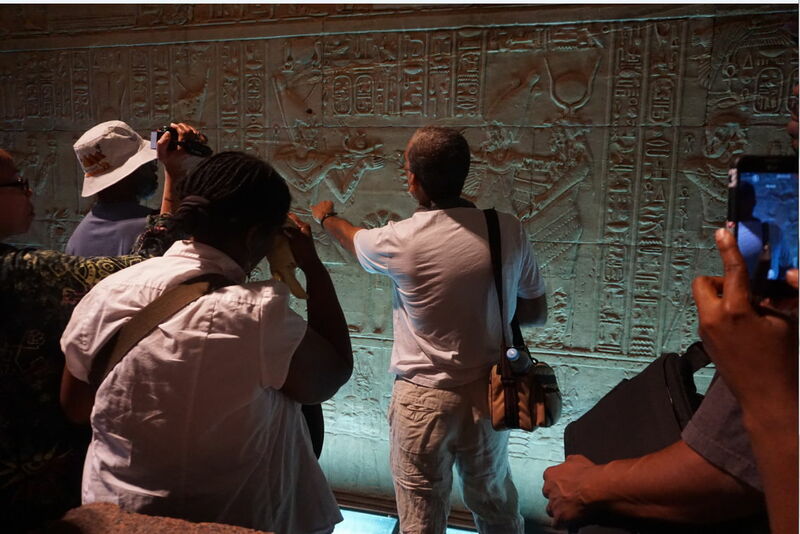 Sebai Dr. Ashby has arranged the trip where we will be surrounded by the ancient iconography and will be able to carry forth in private and without concern to practice our Ancient Egyptian culture, traditions and rituals without disturbance. This is an unprecedented development in such voyages and promises to make this trip a rare opportunity that should not be missed. Spend an insightful week with Sebi MAA (Dr. Muata Ashby) author of over 66 books on Ancient Egyptian Mysteries, Philosophy, wisdom, Music, Yoga, and spiritual practice. Dr. Muata Ashby began studies in the area of religion and philosophy and achieved a doctorate degree in these areas while at the same time he began to collect his research into what would later become several books on the subject of the African History, religion and ethics, world mythology, origins of Yoga Philosophy and practice in ancient Africa (Ancient Egypt/Nubia) and also the origins of Christianity in Ancient Egypt. 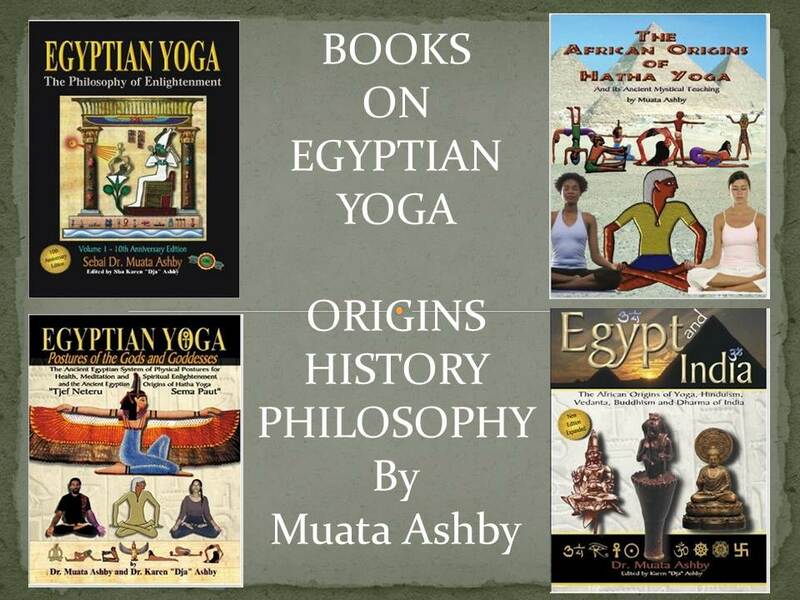 This was the catalyst for a successful book series on the subject called “Egyptian Yoga” begun in 1994. He has extensively studied mystical religious traditions from around the world and is an accomplished lecturer, musician, artist, poet, painter, screenwriter, playwright and author of over 60 books on yoga philosophy, religious philosophy and social philosophy based on ancient African principles. A leading advocate of the concept of the existence of advanced social and religious philosophy in ancient Africa comparable to the Eastern traditions such as Vedanta, Buddhism, Confucianism and Taoism, he has lectured and written extensively on the correlations of these with ancient African religion and philosophy. 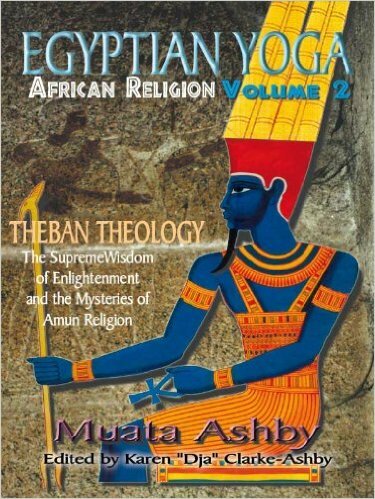 Muata Abhaya Ashby holds a Doctor of Divinity Degree from the American Institute of Holistic Theology and a Masters degree in Liberal Arts and Religious Studies from Thomas Edison State College. He has performed extensive researched Ancient Egyptian philosophy and social order as well as Maat philosophy, the ethical foundation of Ancient Egyptian society. In recent years he has researched the world economy in the last 300 years, focusing on the United States of America and western culture in general. He is also a Teacher of Yoga Philosophy and Discipline. Dr. Ashby is an adjunct professor at the American Institute of Holistic Theology and worked as an adjunct professor at the Florida International University. Through his studies of the teachings of the great philosophers of the world and meeting with and studying under spiritual masters and having practiced advanced meditative disciplines, Dr. Ashby began to function in the capacity of Sebai or Spiritual Preceptor of Shetaut Neter, Ancient Egyptian Religion and also as Ethics Philosopher and Religious Studies instructor. Thus his title is Sebai and the acronym of his Kemetic and western names is MAA. He believes that it is important to understand all religious teachings in the context of human historical, cultural and social development in order to promote greater understanding and the advancement of humanity. Board your international flight to Cairo and begin your journey back in time to the ancient land. 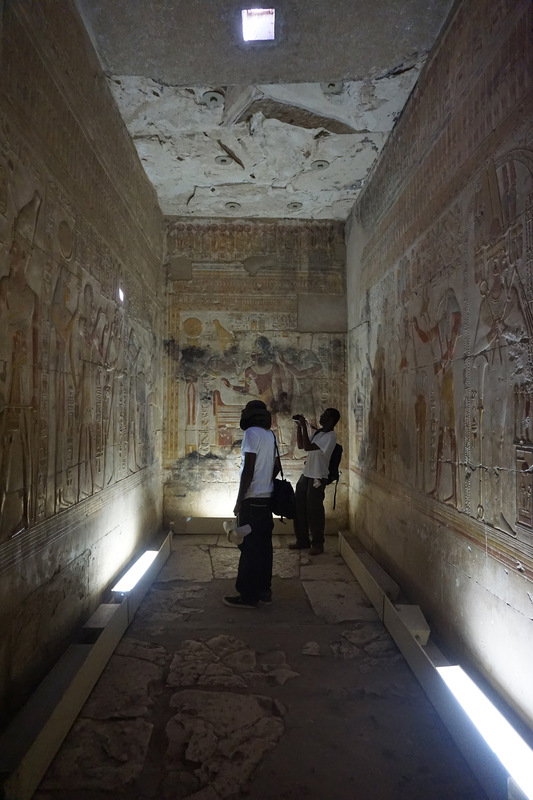 Transfer to Abydos and on the way spend quality time at temple of Godddess Hetheru (Hathor) at Dendera. 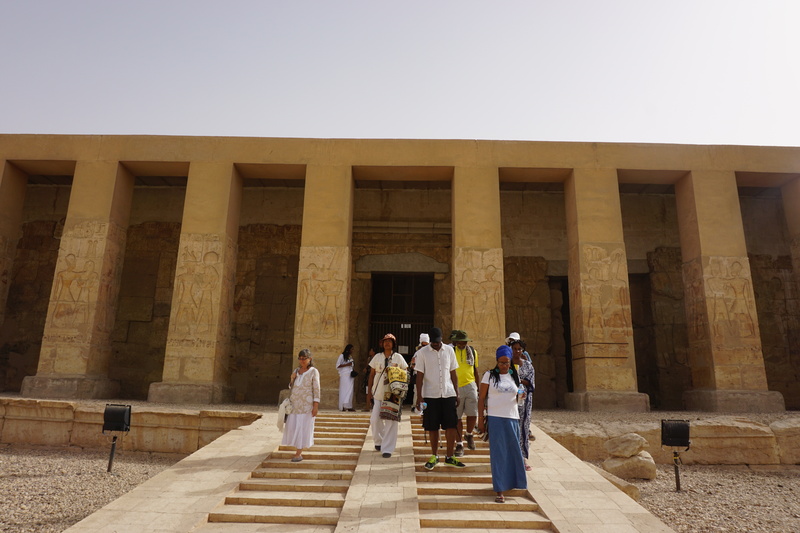 The itinerary of Egypt continues with a visit to Dendera with the temple of Hetheru (Hathor). We will have time and privacy to commune with ourselves, our wisdom and the spiritual site as in no other trip. 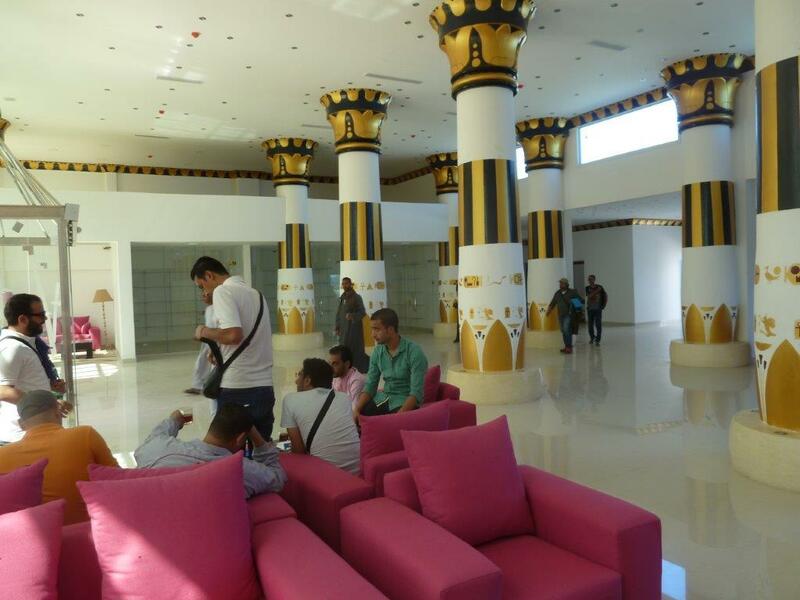 We will visit the special rooms of Egyptian Yoga and mystic emulation of the gods and goddesses as well as the passages of the priests and priestesses, the Holy of Holies and many special places. Evenings, enjoy enlightening multimedia PowerPoint presentations on the origins of the Shetaut Asar (Osirian Mysteries), Hetheru (Hathor) and Amun. These presentations will present in depth the goal of life that the Ancient Egyptians called Nehast (Spiritual Enlightenment), through rare images and original translations of hieroglyphic texts [some from the Temple of Asar (Osiris) in Abydos] of the story of Asar (Osiris) and Aset (Isis) and other divinities and their message for us today, the most important teachings of Shetaut Neter (Ancient Egyptian Mysteries) and of the Shetaut Asar and the Temple of Asar. 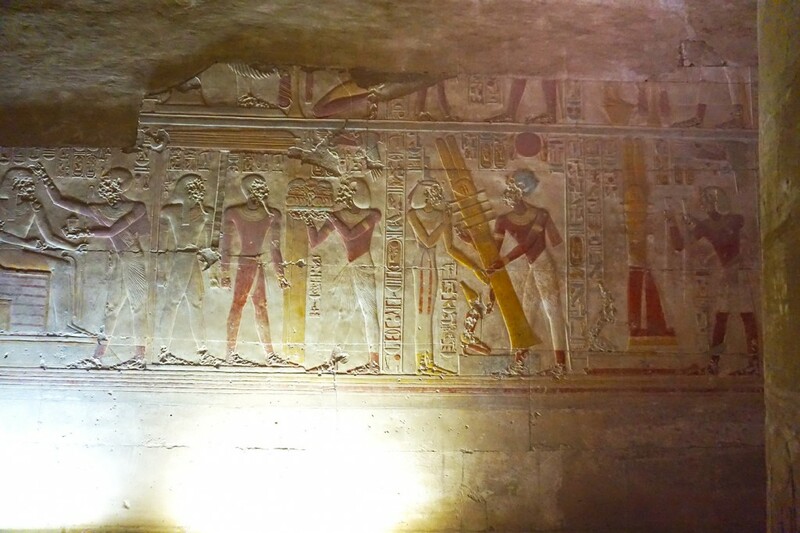 This special program will include several visits to the Temple of Sety I dedicated to Asar (Osiris) in Abydos to witness firsthand the teaching presented in the lectures. 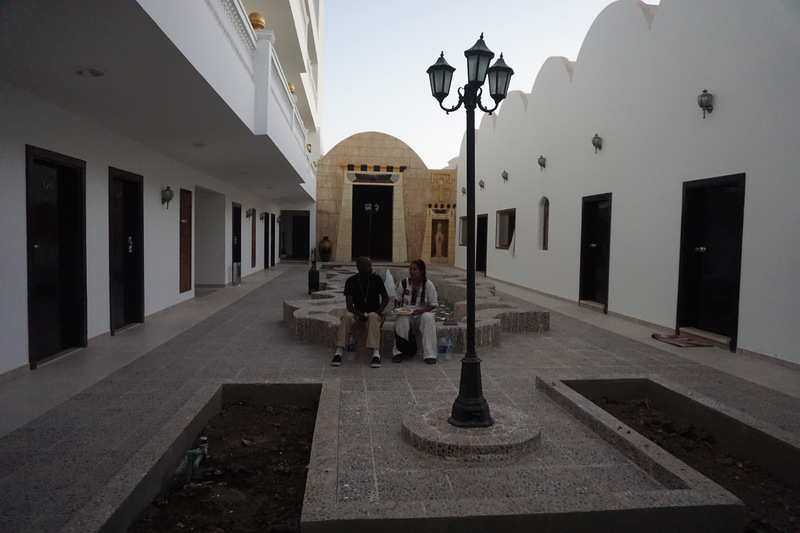 In the evenings, enjoy various healing treatments, including special sessions on ancient Egyptian music, worship and meditation. 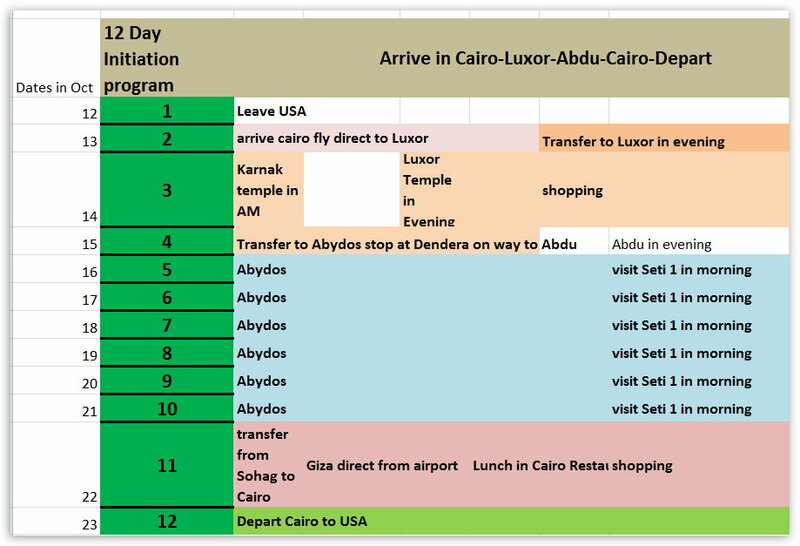 This program also includes a excursion to the temple of Hetheru at Dendera. 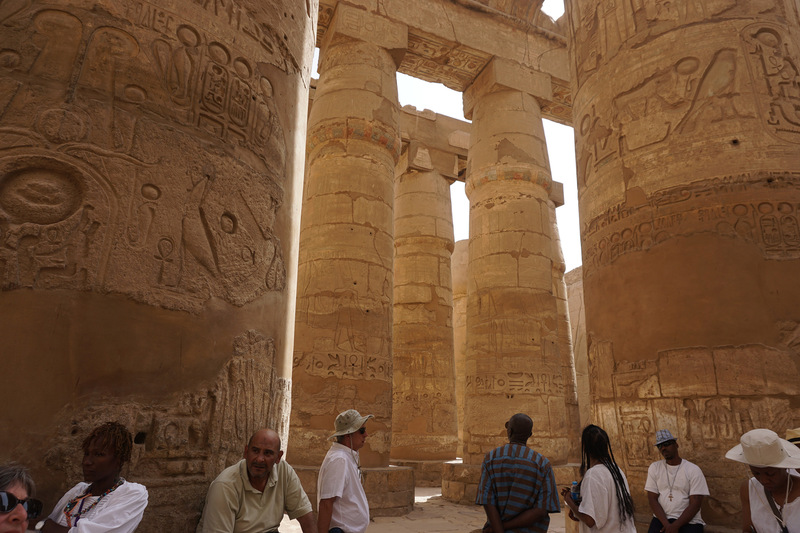 This program also includes a excursion to the Karnak and Luxor temples of Amun, Mut and Khonsu. Embark with us on this journey of royal postures (Sema Tawy) and words of power (Hekau) and practice the meditation system (Uaah) of Egyptian Mysteries to commune with the divine cosmic energies and rediscover the inner soul (Ba) of peace (Hetep) within. This will be an unforgettable opportunity to renew and revitalize body and mind and advance on the spiritual path of awakened soul. HTP (Peace) and DUA (Blessings)! 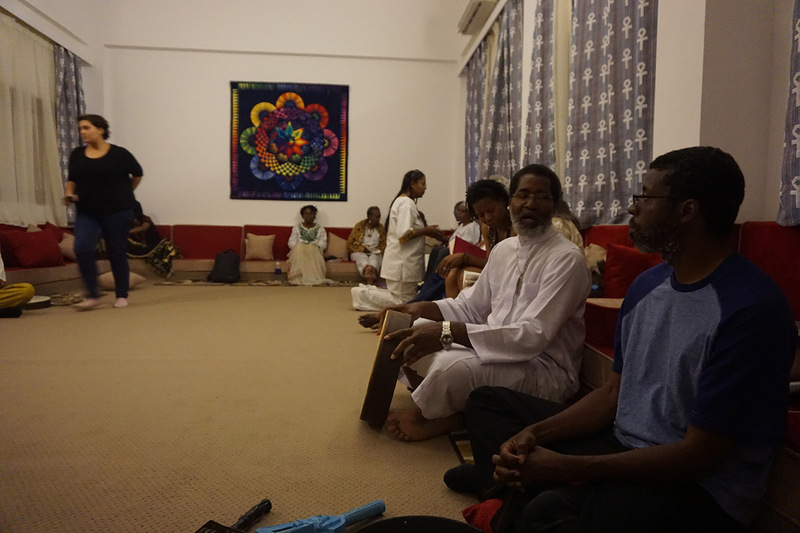 On behalf of the Sema Institute of Yoga, Temple of Aset, Sebai Maa, Seba Dja, and the Pilgrimage to Kemet organizing committee, we would like to extend a formal welcome to you for your anticipated participation at this year’s spiritual pilgrimage to Kemet. Within this/these pages, you will find answers to frequently asked questions about the trip. If after thoroughly reading the entire document, you still have questions, contact the Sema Institute at 305-378-6253. Registration will be on a first come basis. We will refund any deposit made if registration becomes full and we cannot accommodate you. *Payments can be made in any amount as long as the final payment is made on or before July 31, 2016. *Included: tips [the usual gratuity expected by porters, waiters, maids, etc ]. Note: There will be a $25 fee for any checks returned for non-sufficient funds. Credit and/or debit card payment info is to be provided on the Registration Form. Under no circumstances should anyone send cash. We are requesting that the two meals per day be non-dairy vegetarian/vegan. NO MEAT or ALCOHOL of any kind will be served. Note: If a vegetarian/vegan foods predominant menu is a departure from your regular diet, and if you have any health conditions; e.g., diabetes, or dietary restrictions that may be adversely impacted by this dietary change, consult with your doctor and get their permission to attend this program. Also, speak with Seba Dja directly at 305-378-6253. We may be able to accommodate your special needs (with the exception of meat) if we know your situation in advance. 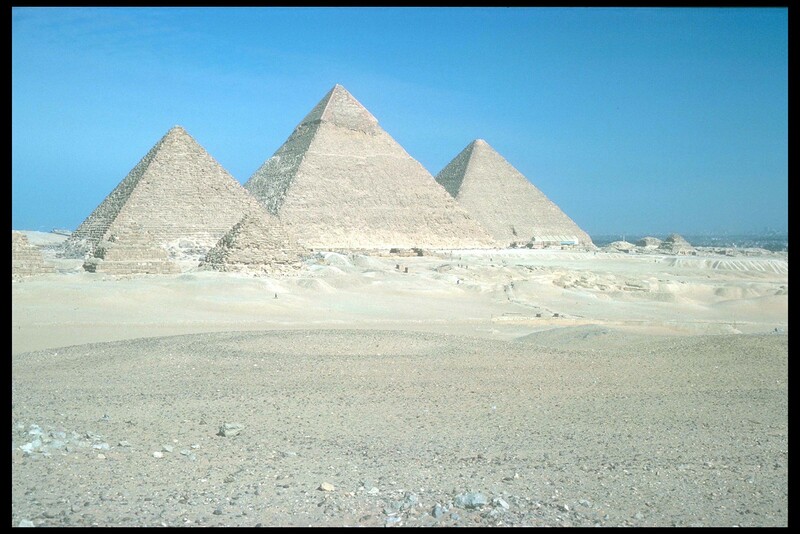 *To join the tour you will travel to Cairo and then another flight from Cairo to Luxor. 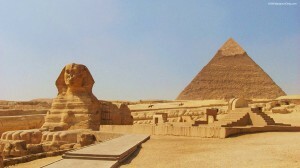 *Air travel from your country to Egypt and within Egypt is IS included in the trip cost. Do not get travel insurance until you receive notice from us to do so! Once we get the required number of attendees 60 days prior to travel -and all travel safety and environmental conditions have been verified –we will provide you with this information. The fourth is a four star. Lodging for each participant will be double occupancy. If you have a preferred roommate this information should be included in the Registration Form that is to be submitted with your payment. Single room occupancy requests will be honored for an increased fee of $400 dollars based on availability. Loose fitting clothing that is appropriate for a spiritual pilgrimage/setting. Summertime temperatures in Egypt are very hot. Clothing that is white should be provided if you plan on participating in the ritual portion of the pilgrimage. You will also want to bring spending money. Attendees may bring their own pillowcase or pillow to sleep on. Linen and towels are provided. 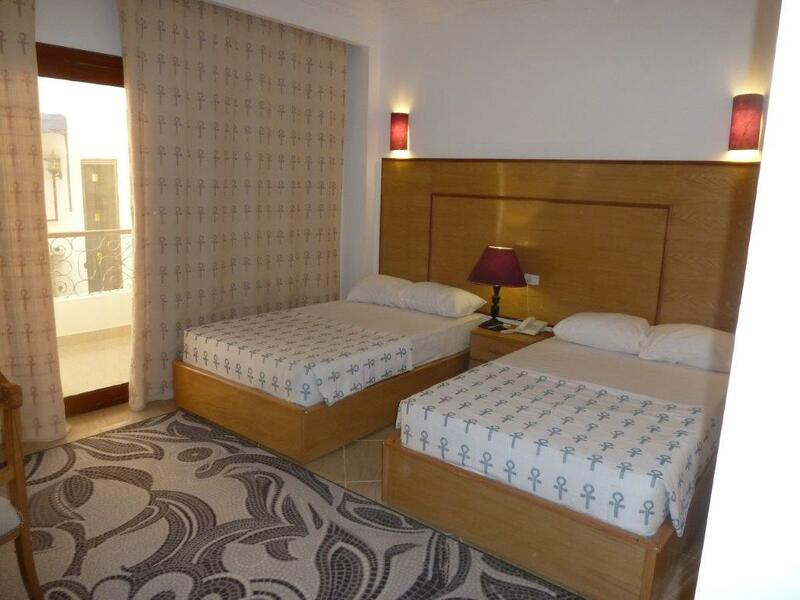 The rooms are air conditioned and heated. You should bring your own toiletries. Sebai Maa and Seba Dja will provide all participants with more specific items to bring as the pilgrimage date nears. You may wish to bring your own healthy snacks, such as nut trail mixes, raisins, etc. We also suggest you bring products/medications for diarrhea, gastrointestinal upset and motion sickness just in case. Please review the Registration on the last page of this document and fill it out in its entirety. This form should be submitted at the time of making the first installment or total registration payment. No one will be allowed to participate until a signed legible registration form is received from each participant. The Sema Institute of Yoga could prevent pilgrimage from taking place. If something like this occurs prior to August 12, 2016 which would prevent the program from taking place, the entire registration fee will be refunded. Short of these types of events the entire registration fee is non-refundable on August 12, 2016. CANCELLATION POLICY: The $200 dollar deposit is non-refundable. All cancellations must be received in writing. A 25% charge will be assessed for cancellations received within 65 days of departure. Cancellations made within 50 days of departure for the tour will receive NO refund. All cancellations are subject to a $100 dollar administrative fee. No exceptions will be made to this cancellation policy. 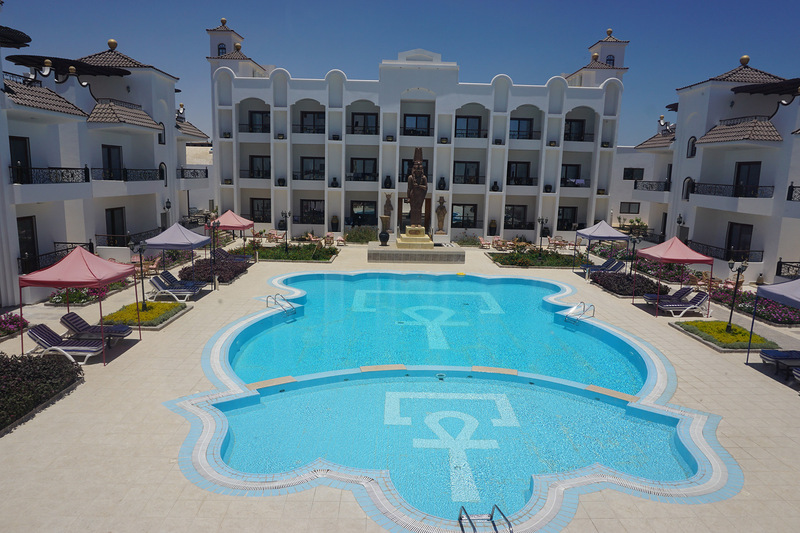 TRAVEL INSURANCE: We require participants to purchase Travel insurance; it should cover being airlifted out of Egypt in case of serious injury or illness. Also, the insurance should cover emergencies such as terrorism so that if there is an issue in a city that will be visited within certain amount of time then the cost of the trip would be reimbursed if there is a need to cancel the trip sue to such a reason. There is more than one Nomad product n. You will be purchasing individually. This means they each person will be given their own certificate of insurance and policy that they will be responsible for. This will be needed if a claim has to be made. The rates may change depending on where you live. WAIVER: It is understood that the Sema Institute of Yoga and/or its agents may take pictures, record by video and/or audio, activities and/or group conference sessions. It is understood that during this photo/video/audio recording that your image or voice may be recorded. By attending this trip you give permission to the Sema Institute of Yoga and/or its agents to record your image through video and/or audio means. You also understand and hereby give permission to the Sema Institute of if Yoga and/or its agents to use any photo, video or audio recording that may contain your image or likeness. You voluntarily consent to allow the use of your image by the Sheti Group and/or Sema Institute of Yoga and waive any right to financial remuneration for its future potential use. You hereby release and hold harmless the Sema Institute of Yoga and/or its agents for any claim by you, your heirs and/or assigns regarding the use of your image gathered during the pilgrimage for its future potential use. It is also understood that Tjef Sema Paut Neteru Yoga Exercises will be done during the pilgrimage. You understand that engaging in these sessions is strictly voluntary and if you do so, you participate at your own risk. You hereby waive any legal claim that you may have based upon an injury that could occur based upon your voluntary participation in these sessions and agree to hold harmless the Sema Institute of Yoga and/or its agents from claims resulting there from. You represent that you are in good health and have no physical ailments; otherwise, you have consulted and have your doctor’s permission to participate in this program, particularly as concerns the vegetarian-vegan diet and participation in the Tjef Sema Paut Neteru Yoga Exercises. Note: Anyone having a doctor’s consent to attend the program, or illness or injury is advised to contact and inform Seba Dja of any condition or illnesses, including but not limited to diabetes, high blood pressure, heart or respiratory disease, back or other orthopedic problems. You can call and speak directly with Seba Dja at 305-378-6253, or email her at Sebadjaunnefert@aol.com; she will let you know if she needs further details about your condition or a doctor’s consent. In consideration of the fees paid for attending the Pilgrimage to Kemet trip you for yourself, heirs, personal representatives and or assigns, hereby release the Sema Institute of Yoga and/ or any of its respective agents, employees, and/or officers, from any liability, damages, claims or causes of action, arising out of your participation in the trip except as otherwise provided by law. You also agree to indemnify and hold harmless the Sema Institute of Yoga and/or its agents from any claims, causes of action, or other judicial proceedings costs, expenses, damages, and liabilities including attorney fees brought solely as a result of your negligence, willful misconduct, and failure to abide by the rules and regulations promulgated by the sponsor. You also acknowledge your understanding that the Sema Institute of Yoga and/or its agents act only as agent for various companies over the lines of which tickets are available and these tours operate and assumes no responsibility for liability with service in connection with the service of any train, vessel, carriage, aircraft, motor or other conveyance which may be used wholly or in part in the performance of its duty to the passenger, neither will it be responsible for any act, error of omission or for any injury, loss, accident delay or irregularity which maybe occasioned by reason of any defect in any vehicle or through neglect or default of any hotel proprietor or hotel service, or for any other person engaged in carrying out the purpose for which tickets or coupons are issued. 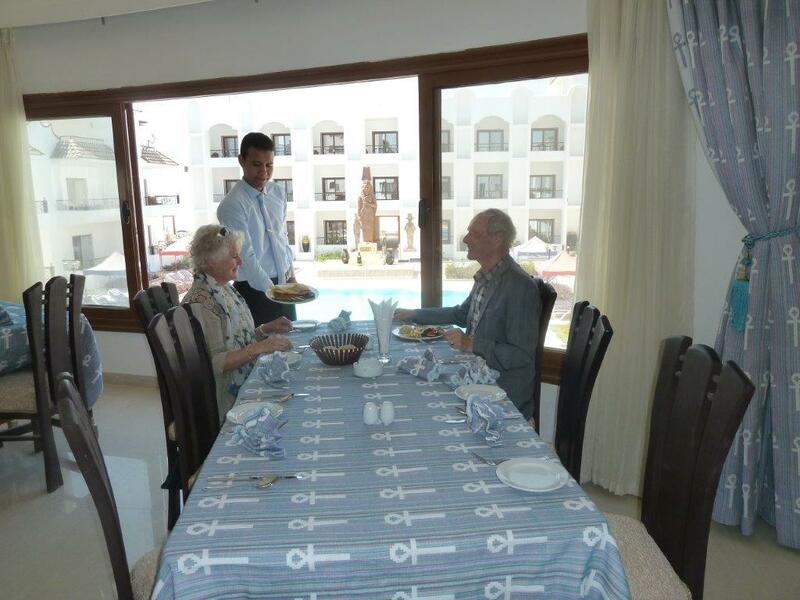 If it becomes necessary or advisable to change any hotel for the comfort or well-being of the attendees for any reason whatsoever or to alter the itinerary or arrangements, such alterations may be made without penalty to the operators. Additional expenses, if any, shall be borne by the passenger, conversely, refund will be made to the passenger if any saving is effected thereby. The right is reserved to withdraw any or all tours should conditions warrant. In this event, I understand that no refund will be given to me and the expense incurred to travel back to your home state of origin will exclusively be borne by you. Fill in ans send in he Registration Document as son as possible once yo have decided to attend the trip. Copyright © 2019 Pilgrimage to Kemet . All Rights Reserved. The Arcade Basic Theme by bavotasan.com.